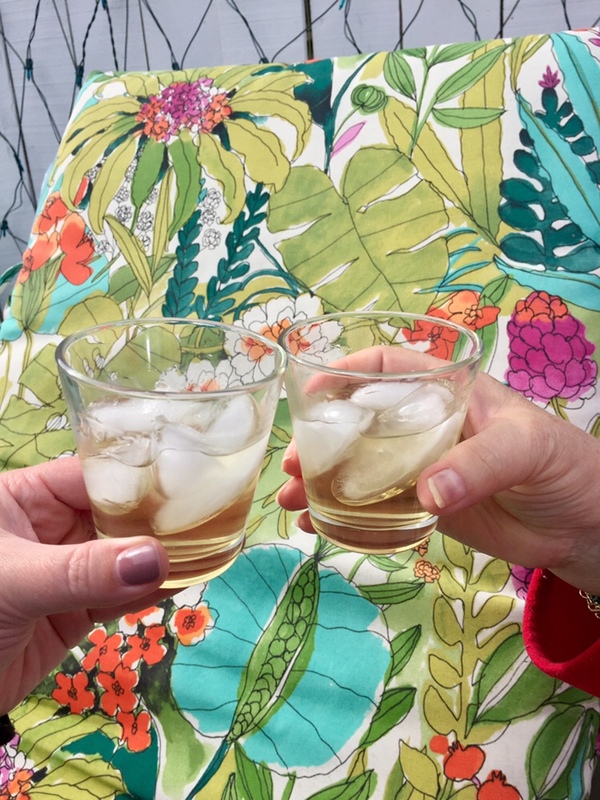 I started the process of making Limoncello a few months ago — and this afternoon, Mama and I enjoyed the fruits of my labor while stretched out on lounge chairs in our backyard oasis! Step one was infusing vodka with fresh lemon peels, letting the mixture sit untouched in the dark for a month. Step two was removing the lemon peels and adding homemade simple syrup. Then I tucked the jars away in a cupboard and let them marinate for another month. The result was delicious! We ended up with a very mild Limoncello, as I was a little short on vodka. But we love it! Today’s #OneGoodThing was the final step in the Limoncello process — drinking it with Mama! Day 126 of 365. And Day 857 in a row (here’s the first 366 & the following 365)! 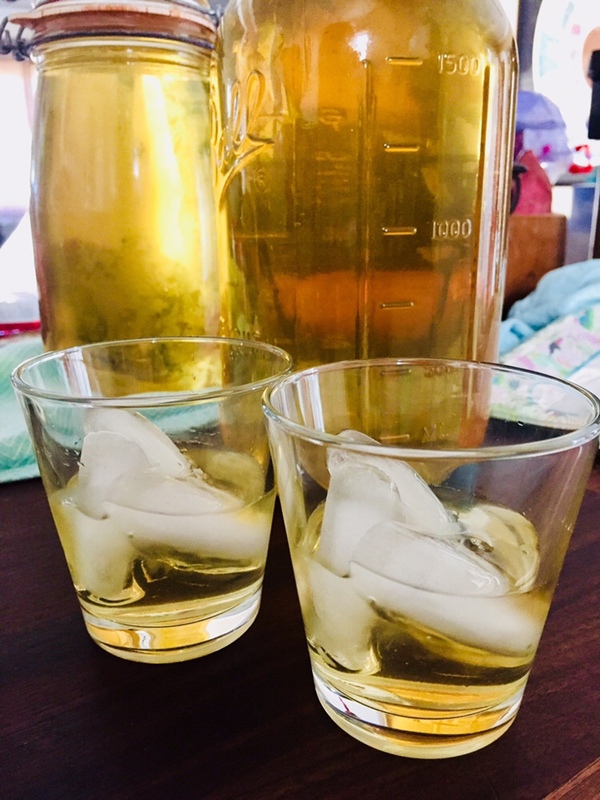 Your first post inspired me to make limoncello. I used neat alcohol (96% pure alcohol) which my late father-in-law had brought over from Italy years ago (or possibly bought in an Italian shop in England), then diluted it to the equivalent of vodka. I found a recipe on-line which said I only need to leave it for a week, shake every day, no mention of keeping it in the dark, then leave another week after removing the peel and adding the sugar syrup. It is very nice. It is cloudy, but that’s no problem. In Italy you can (or could) buy that pure alcohol and essences for making liqueurs that ‘taste like’ Strega, Amaretto, Goccia d’Oro etc. That’s so cool that you were inspired to make limoncello too, Bert! Mine really turned out more like Meyer Lemon simple syrup. It’s good and we use to sweeten our iced tea, but it isn’t limoncello. I hope to try again soon. I got a giant bottle of vodka from Costco and hope to give it another go. Did you like the result of your recipe? Hope you’re well!